This is the brainchild of a simple pack submission that was way too detailed to be entered, and several months of procrastination and development hell. Currently I'm running with the theme of 'detailed cartoonish', trying to cross over Dokucraft with Love and Tolerance with my own style of pixel art, which tends towards the detailed. Note: several of the textures in the below images are outdated or have been redone, most notably the stone and the various woods. I'd suggest looking through the thread for progressively recent textures. This is obviously by no means finished. I'll post textures semi-regularly unless I end up going on hiatuses. I appreciate feedback, or better, ideas, so if you've got any please leave them/it below! Completed three multitexture blocks! That's about 23 ordinary texture's worth in all of these if you include the breaking animation which I also did but didn't take a picture of for obvious reasons. Also, a clearer shot of the dirt. Here's some screenshots of nature. The trapped chest is subtle; the lock is redder. One last update for today. Also, fancy swirly stone. I might smooth it out a bit. The Ender Chest, and the clay. 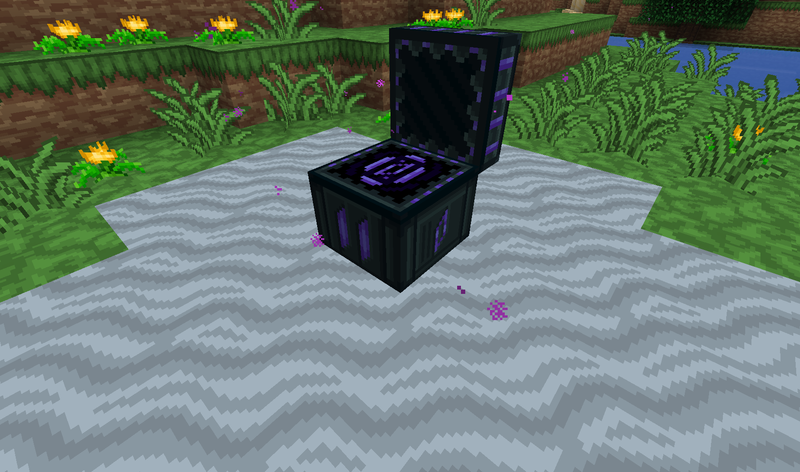 Also, the opened Ender Chest. Working on the diamond stuff, and finished the clay. Armored chestplate and all the tools/armor icons! Slightly revised the diamond sword, and completely redid the iron tools, especially the sword. (Except the shovel, which I just altered the handle of.) Iron is going to have a paladin theme going sort of. Also, that jukebox texture is animated. Modified a bunch of the diamond stuff. It's brighter now, and looks more like diamond and less like cobalt. The armor isn't quite so Super Metroid-esque as a result, but that was unintentional anyways. I think you have a conflict of styles in this. The dark line on sidegrass suggests cartoony or comicy or some sort of style akin to that. But then the logs (My favorite texture, by the way) look much more realistic. They've still got some style to them, it's obvious, but they're more centered in reality. Or some bull like that. I think you either need more or less outlines, and I'd personally opt for less. You've got a good thing going on, and outlines on blocks end up rather inconsistent unless you look at it every couple blocks. 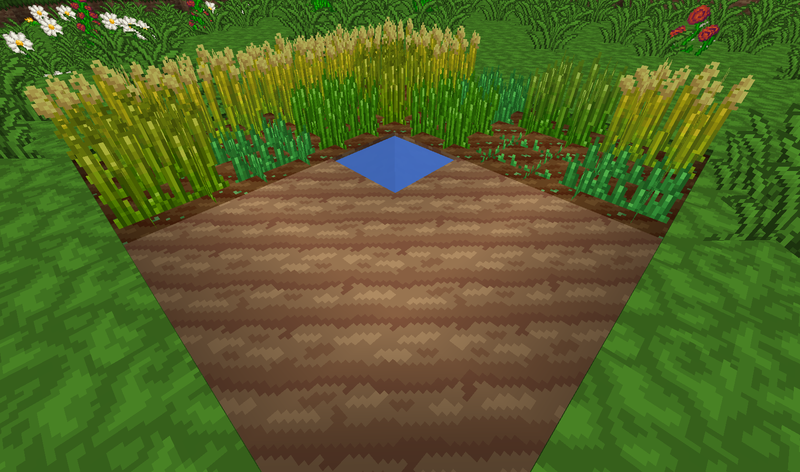 Also, the outline on tall grass is especially annoying. It's too tall to have outlines. You also have a few contrast issues. Specifically on wood. Your oak is nice and defined, and birch next to it is rather flat. It doesn't have the same dark lines as oak, and if I were talking of wood grain that would be fine, but I'm not. Spruce is even darker, and I'm not entirely sure what Jungle(?) is. Wood cubes? The cobble is nice, but next to everything else it just doesn't work. And stone brick could benefit from one more colour in the bricks themselves. Specifically a darker one. I like what you have, I do, but you're aiming at 3 targets and you've only one arrow. And the feather is wonky. That's the result of switching between so many styles, I guess. I'm trying to fix some of the things you mentioned. The jungle wood was actually left over from one of my earliest versions, I never bothered to redo it. I kind of like the outlines, though, especially on the tall grass -- it's one of my favorite textures. I'm going to try to make oak wood somewhat less defined (probably by lightening the cracks) and do the opposite for birch, so they're more in the middle, too. And everybody seems to says that about the oak wood; I don't know why. Doing some tests with color and adding more detail to the stone bricks and stone slabs using low-contrast colors. I also added more obvious outlines to the two aforementioned bricks that I'm probably going to keep messing with. They don't really fit in quite yet because the low saturation on the stone goes against most of the other stuff, but it does look a lot better than flat color so I'm probably going to keep the basic idea. Also I've decided on a more or less final theme: Cartoonish with some realism. I love the tall grass too much to try to remake it. It does look really good when you're walking around, (so long as you have mipmapping on) but I don't want to upload the pack yet. You make a good point (Seradicus) with how outlines are usually fairly inconsistent, but I think they look excellent on 2d 'billboard' stuff like plants, vines, and leaves, among other things, so I'm going to keep them around. Again, I'll probably keep modifying these over time to try to get them perfect. I still need to darken the mossy stone because it already looks lighter than the regular cobble because the vines overlay the fairly dark cracks between the bricks, and the birch wood is fairly abstract compared to the rest with the curls and whatnot. I might alter that, but it was one of the few ways I could think of to make something as ugly as birch look good here. Did you know birch wood still uses the old shades of white from when I was using a limited palette for the pack? I actually made the brewing station well before I posted this thread, I just forgot to take a screenshot of it. And whoever designed the iron anvil layout is a fecking idiot, I'm going to have to make a custom model just to fix it. Once I do that, I'll fix the outlines, too. 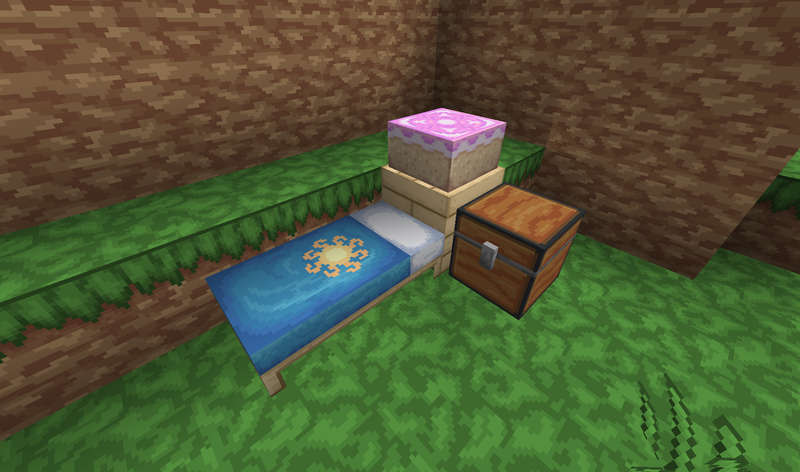 I might need more textures, but I'm still wrapping my head around custom models. Most if not all of the crafting stations. Fix small issues with individual blocks, and update older ones. Or not. I might make the carrots radishes. Golden radishes! Sandstone, the cauldron, and experiments with wool! One of the houses from the Mine Little Crafty server. Good server, good people. And finally, a wool-intensive area in my yet-to-be-released-or-even-remotely-finished CTM map. First, a display of ALL the colored blocks! Except glass. One THIRD of the colored blocks! And the jungle stuff. Also vines.